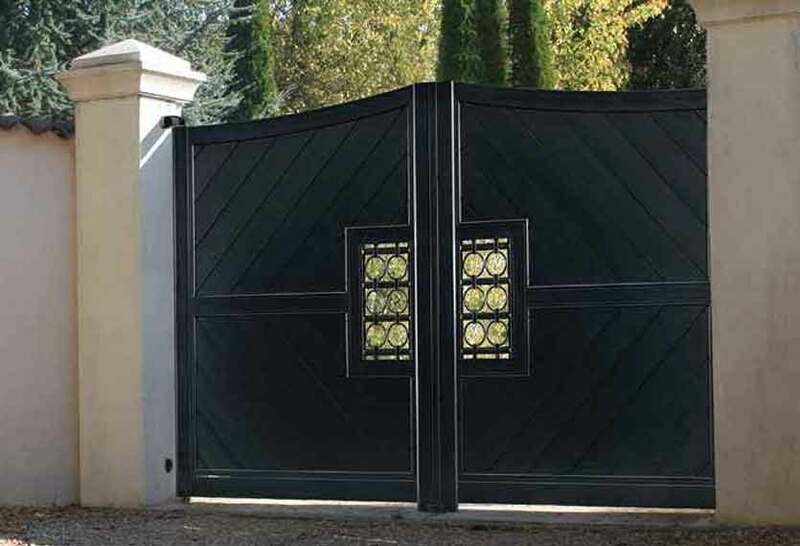 Click on the images in our gallery below to view our Confidence Collection of aluminium gates in more detail. 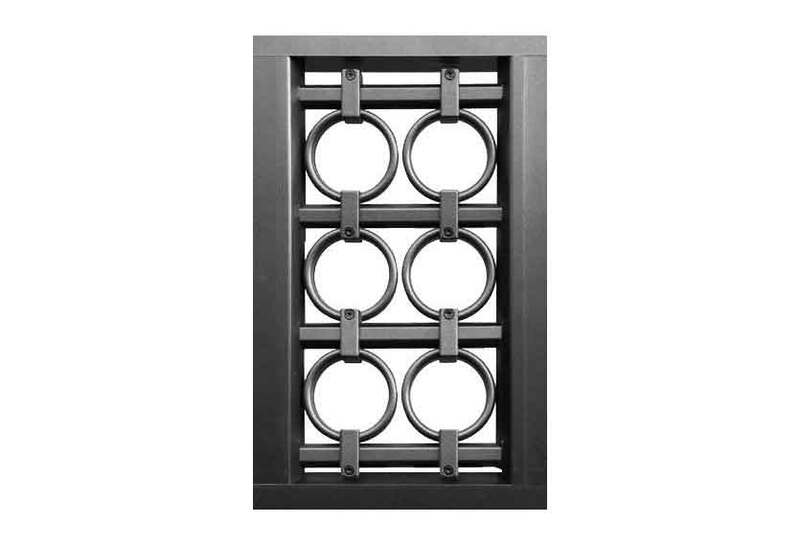 Mixing modern with traditional, the Confidence Collection offers originality and excellence to any dwelling. 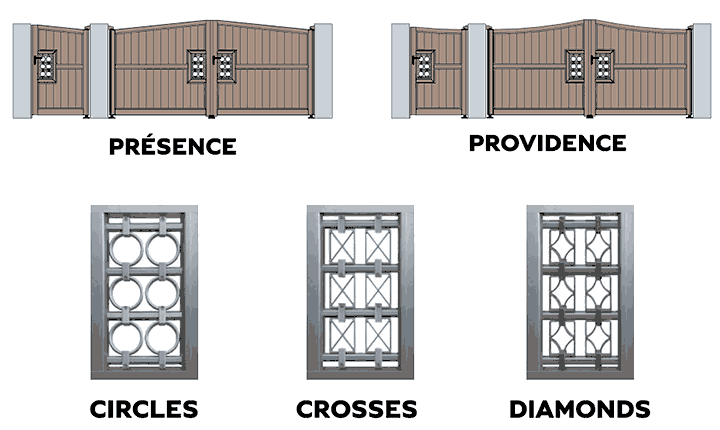 These gates are characterised by 125 mm aluminium boards with a choice of “murals” in the centre of the gates, depicting circles, crosses or diamonds. These “murals” bring a touch of originality to the gates, are unique and project an image of strength and elegance. 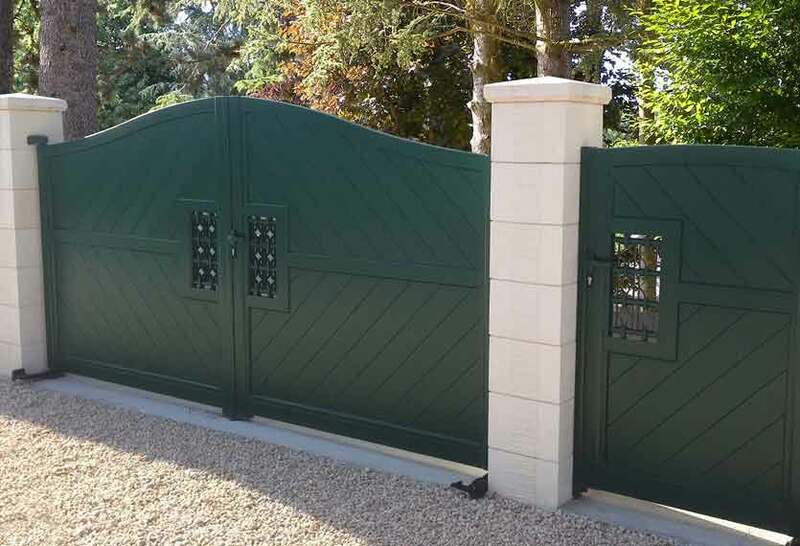 This beautiful range of gates, available in flat-topped or curved, are all fully-boarded and available in standard and non-standard RAL paint finishes (at a small extra cost). 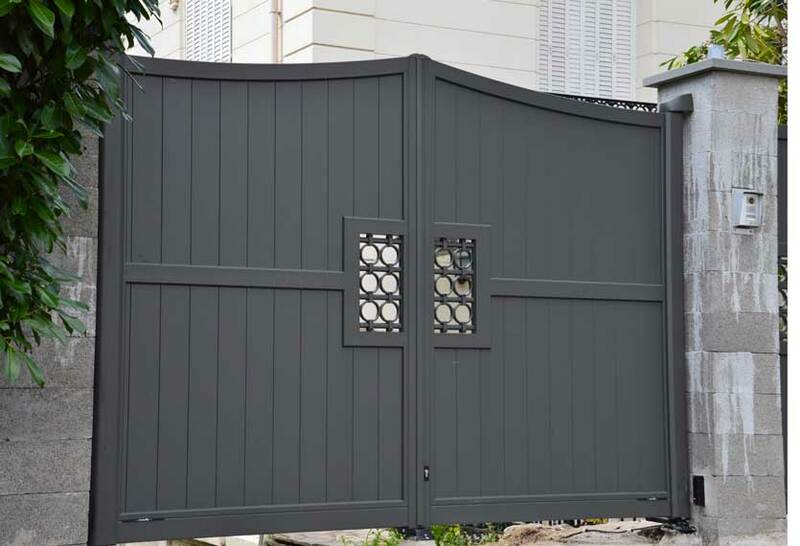 Should you require the “murals” in a different paint finish to the Gates, if they are standard RAL paint colours, there is no extra charge. Everything can be fully automated (Sliding and Swing types), with strength built into the framework to cope with continuous use in adverse weather conditions. Matching pedestrian gates can also be created if you require these for your property. Another option with this range is to have diagonal infill boards, designed to give a “chevron effect” (a small extra charge for this applies). 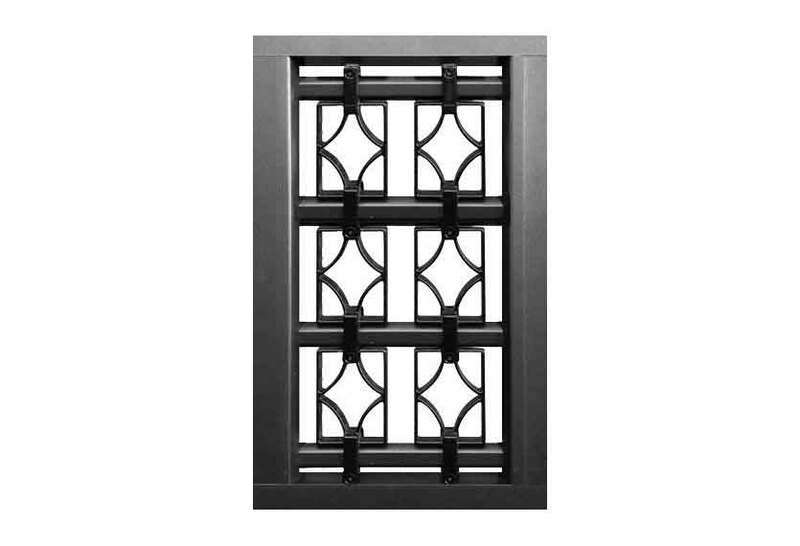 The attention to detail that this range offers along with the build quality and style of these products, will enhance the look and appeal of your property, adding value and security for years to come. 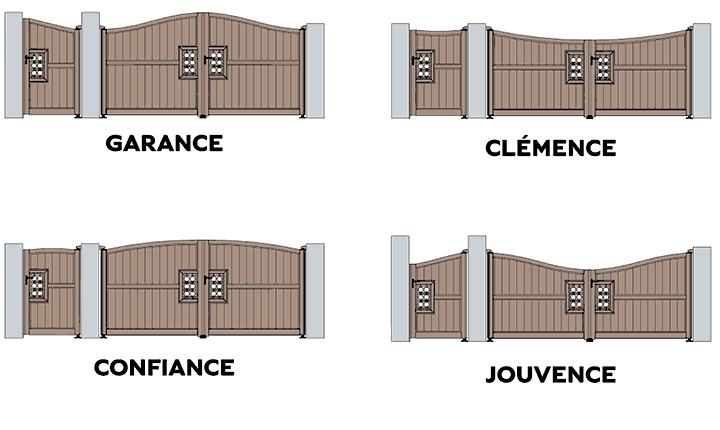 For detailed information on the Horizal Confidence collection of aluminium gates, including personalising your gate, and how to choose your ideal gate, please download our guide. Alternatively an overview of available features can be found in the tabbed area below. The range includes 7 models of swing gates and associated pedestrian gates. 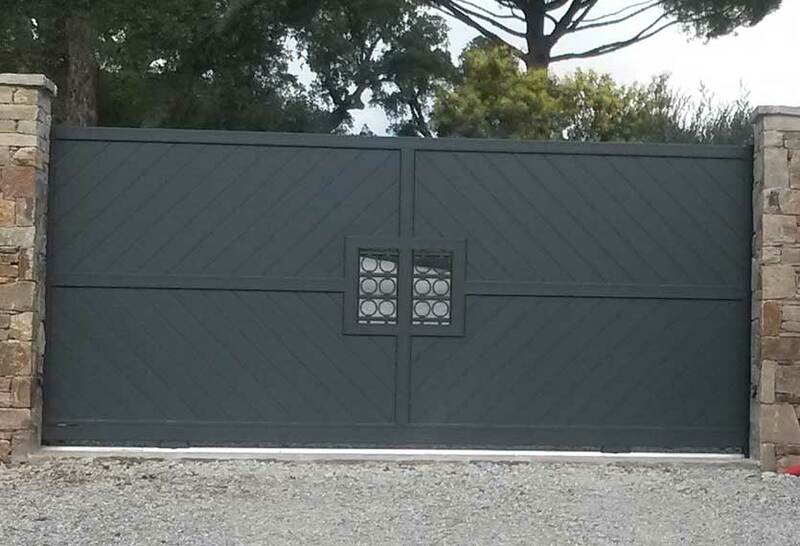 The inserts can be painted in a different colour from that of the gate (no extra charge for standard colours).